One of our monarchs sips Gatorade. If you have been keeping track of the International Space Station experiment on monarch development in a microgravity environment via the Monarchs in Space website, you will have seen that, despite the near-weightless environment, the monarchs managed to pupate normally and emerge as healthy adults. Our Conserve School monarchs have also graduated to the butterfly stage and are now happily surviving on Gatorade in a large mesh cage in one of our science labs, where they enjoy basking under the bright grow lights. Above left, you can see one of them sipping Gatorade Fruit Punch from a homemade feeder: a kitchen scrubby on a shallow plate. 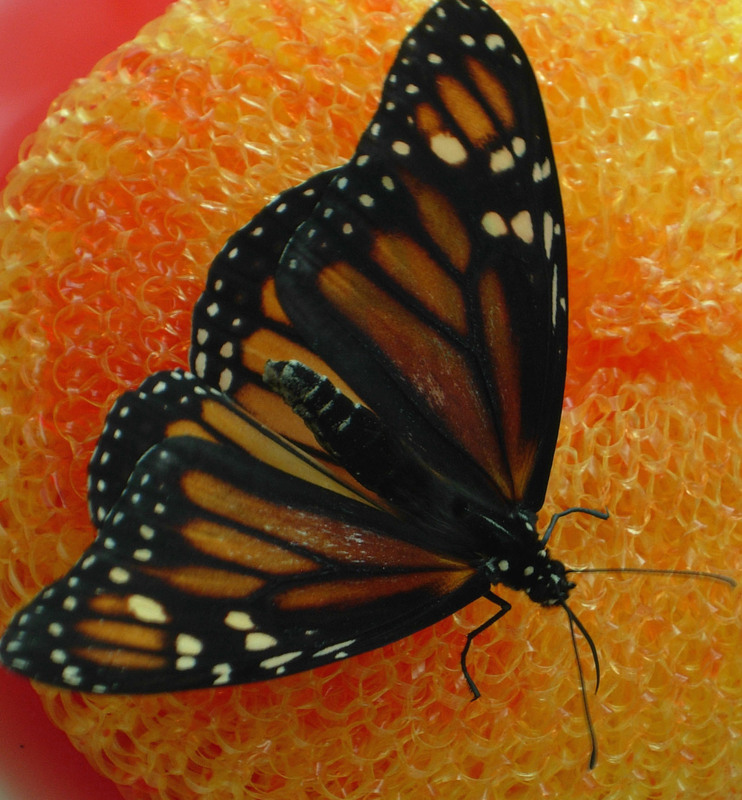 The scrubby provides a perch so that the butterflies don’t get their wings or bodies wet, and tiny droplets of Gatorade cling to the plastic mesh so the butterflies can “forage” for their artificial nectar just as they do when they perch on flowers. Look closely and you can see the butterfly’s extended proboscis between its antennae. Once the butterfly has had enough, it will curl its proboscis up against its head. 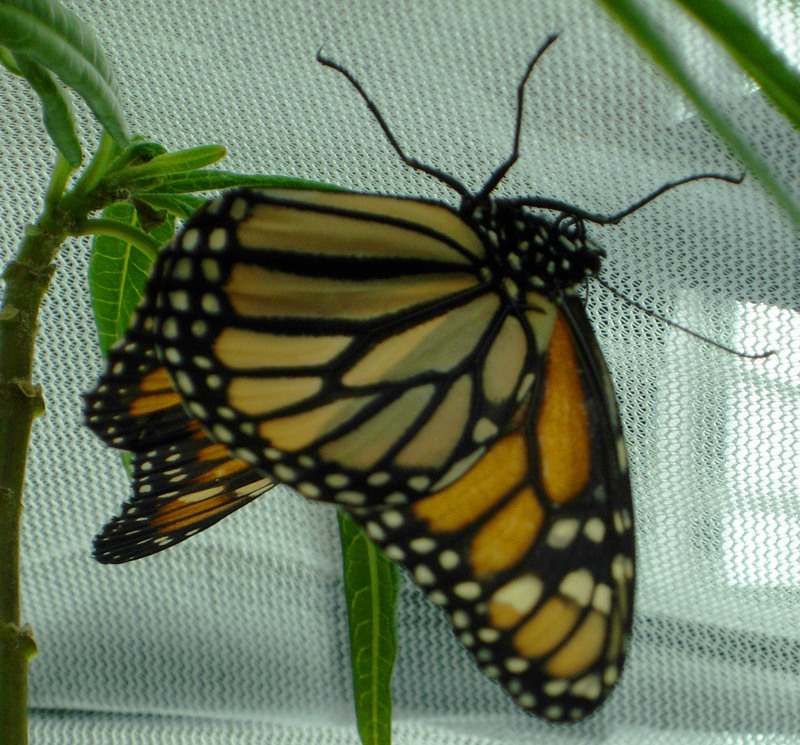 Below you can see our other monarch hanging upside down from the ceiling of its mesh cage. This butterfly’s curled proboscis is just visible between its head and the nearest leg. The other monarch hangs from the mesh ceiling of our butterfly enclosure in one of the Conserve School science labs.